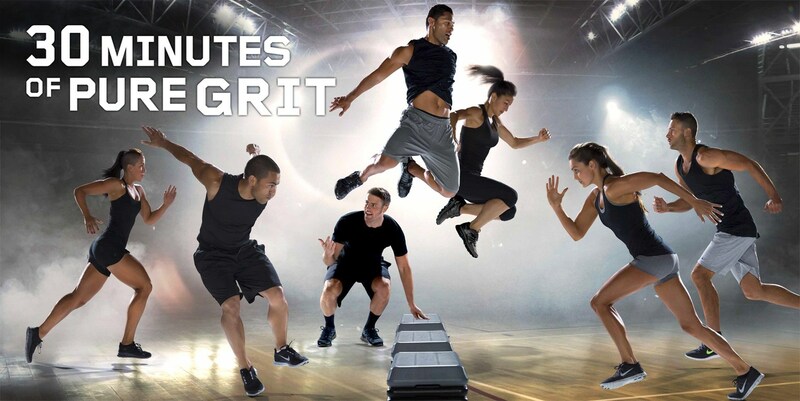 Grit Strength, Grit Plyo, Grit Cardio. What cha talking 'bout? Strength: HIGH intensity, improves strength and builds lean muscle. Cardio: HIGH intensity interval training, improves fitness, speed and maximises calorie burn. All classes are 30mins long so by the time it is really starting to burn, you've nearly done. I've been doing Strength quite religiously and I can honestly say, it's 'uh-mazing. I feel stronger and my body is definitely leaner- I have been running more as well though so maybe it's a combination of the two? With Strength you use a bar and weights and they recommend you use quite a heavy bar as it's short bursts of work. I started lifting 10kg and now I'm going for 15kg so whilst it's not massive step up, it's more than I started with and that is progress! Cardio isn't my favourite but that's probably because I can't breathe whilst I'm doing it. You use your body weight which is quite underrated as it's a lot harder that it sounds. I haven't tried Plyo yet as I never seem to be able to make a class! I'm making it a priority for the new year though so I'll let you know when I've tried it. "You've got to fail to succeed" - that's their motto. It hurts and it's hard and you'll want to stop but push through. It's got to be hard and it's got to hurt for it to work. It's 30mins of hell but you feel like you can take on the world for the rest of the day.